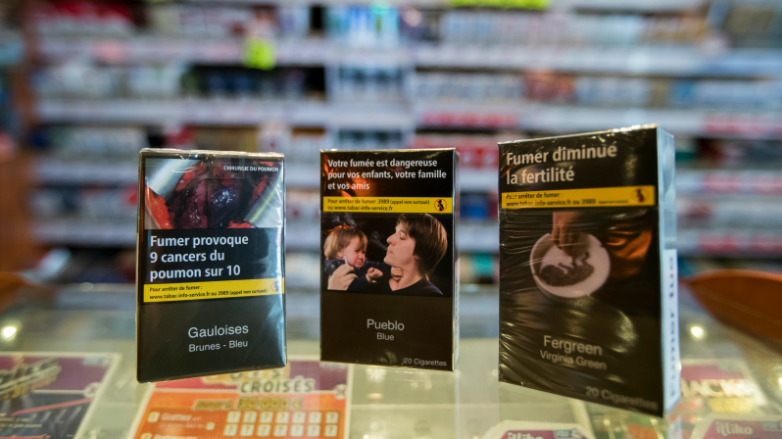 Minister of Health Agnès Buzyn intervened and pointed out that she would talk to Culture Minister Françoise Nyssen about the issue in an effort to “denormalise” the image of tobacco in society in the government’s second plan to fight against smoking. “I don’t understand why the cigarette is so important in French cinema,” Buzyn said, adding that she is fully in line with the senator. Dominick Nguyen from the European Network for Smoking and Tobacco Prevention (ENSP) told EURACTIV such a move would be a “major step” forward in the denormalisation of smoking, especially amongst young people. “In France, more than one in four 15-year-olds are regular smokers and any initiatives to prevent them from being targets of the tobacco industry is beneficial in protecting them from a life of addiction,” he explained. On the other hand, Guillaume Périgois, director of Forest EU, the smokers’ rights group, believes that such a measure is “awkward censorship”. “The fact that cartoons for children do not show any smoking scenes is a good thing. But films for older audiences should be able to reflect real life, not a smoke-free world. In most of the western world, including France, between a quarter and a third of the adult population smokes,” he said. “Whose turn will it be after smokers? Should French cinema be prevented from showing overweight people in case they could be seen as anti-models?” he wondered. The revised EU Tobacco Products Directive came into force in May 2016 and introduced stricter measures on tobacco control. For example, 65% of a packet’s surface should include health warning pictures and text. Member states are also free to take additional measures, such as restricting advertising or enforcing the use of plain packaging. 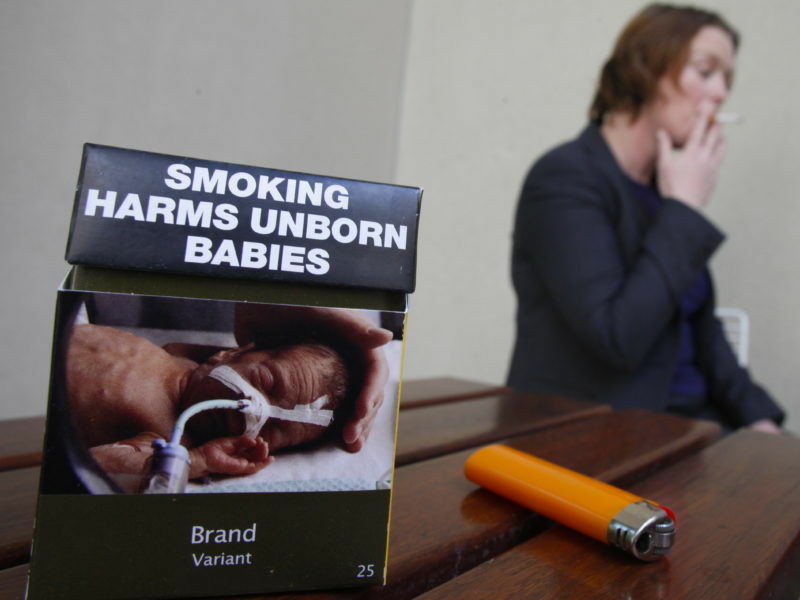 France, Hungary, Ireland, Slovenia and the UK are among the countries that have already adopted the plain packaging measure, which is considered by the industry as “brand theft”. 2. Are they really going to engage in some sort of weird 1984-ish retrospective editting of the vast number of films already made? We already get enough of that sort of absurdity in Europe with lips moving over odd silences in place of naughty words. 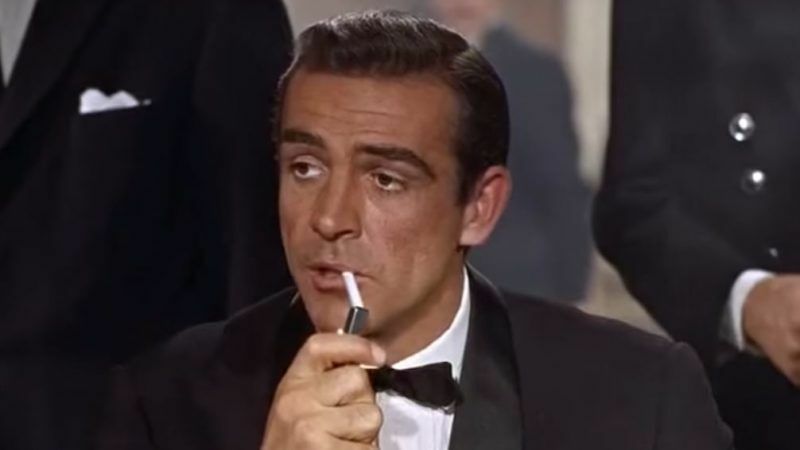 Who wants to watch James Bond with a lollipop that has taken the place of his digitally erased cigarette? 3. How long before it’s extended so as to not show children any potential ‘negatives’. Be interesting to see a ban on showing fat people – which would be called discrimination! They wants to ban on-screen smoking but don’t ban youporn’s on-screen smoking . Ok m’ going’ straight now . The only way to ban is to stop producing and selling cigarettes by the governement .